MJ Kim / MPL Communications Ltd.
Paul McCartney is celebrating the release of his 17th solo album, Egypt Station, with a full concert, webcast live on his YouTube channel. The performance, from an undisclosed (for now) location, will begin streaming at 8 p.m. ET on the album's drop date of Friday, Sep. 7. The set will feature highlights from Egypt Station and older favorites, including songs from the catalogs of The Beatles and Wings. 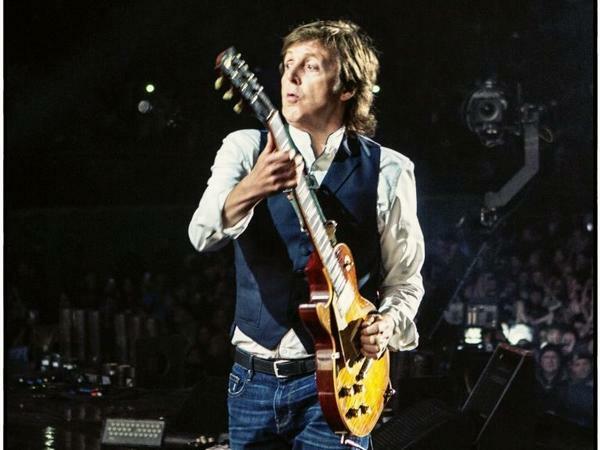 Egypt Station is McCartney's first solo studio album in five years, but at 76 he's continued to tour virtually non-stop for nearly a decade. He's scheduled to perform at Austin City Limits later this fall, with other dates booked in Europe and the U.S. well into next year.